New York was in no sense the boundary of the irrepressible grief for Rudolph Valentino wherever the train that carried his body stopped on its long journey west more ‘unseen friends’ gathered, heads bared, cheeks sometimes wet with tears and among them some knelt to pray. In the towns and hamlets of many other countries this grief had innumerable counterparts. No one had expected so young a man to die and Valentino had meant so much to an international following. In the first shock of losing a loved one, the heart and its senses combine. Human sorrow found its more sensational expressions in New York, London, Paris, Berlin but in lesser places sorrow was as heartfelt, though evidence of it was not so spectacular. Untouched by the world outside, grief grew intensely personal and expressible only in poetry. 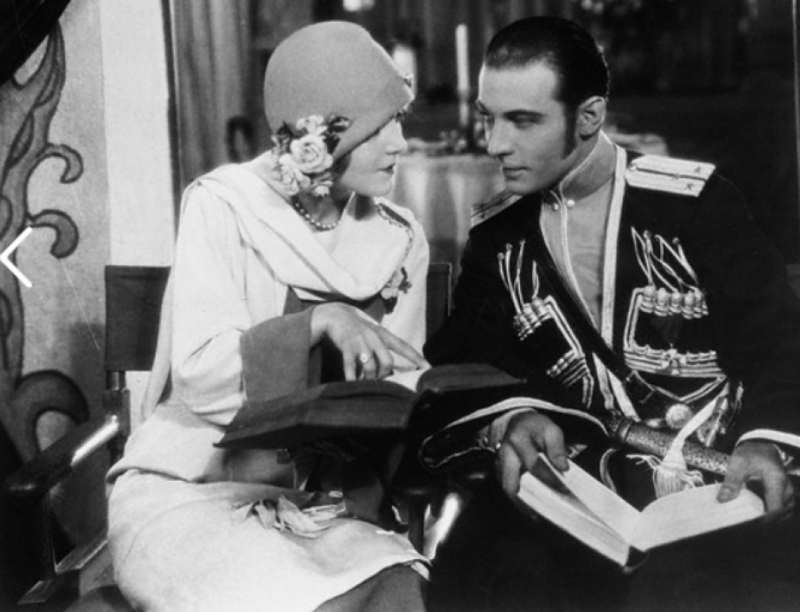 So numerous where the poetic tributes to Rudolph Valentino that a volume of specialized verse could easily be assembled. No less a poet that the late Humbert Wolfe contributed to the London Observer a poem in remembrance of a dear friend. The Chicago Tribune the newspaper which had fired frequent broadsides at his national esteem wrote after his death “The death of Rudolph Valentino is a deep personal loss to most of us. We loved him because he was a weaver of dreams. Because he brought colour, romance, thrill into our daily lives. He embroidered drab moments, he smiled into our eyes and for a little while we too became story-book people and everyday worries were things that were very far away”. Of Spain, a scent of flowers, a sound of castanets. This anonymous poem was discovered in a private collection of Valentino mementos.